New Delhi: Jointly led cyclothon by World Vision India (WVI),a humanitarian organization working for child protection and The Bhopal School of Social Sciences (BSSS) concluded at the Delhi School of Social Work, University Road, Delhi today. The cyclothon was organized to raise awareness on Water, Sanitation and Hygiene (WASH), energy conservation and energy efficient lifestyle and health. This initiative has helped to reach out to more than 15000 people from all walks of life. “We learned a lot through this cyclothon and everywhere we went we were encouraged by the warm welcome we received from the community people. Many people want to do something for the country and we are just glad that we got this opportunity of cyclothon to contribute towards the country, and especially the Swachh Bharat Abhiyan, as I see ourselves as the changemakers of tomorrow People we met were curious about why we were cycling such long distance from Bhopal to Delhi. I will count it a success if people even if few have gained and learned about the importance of this cyclothon message”, shared a jubilant 19 years old girl, Anjanli Meena, who was part of the cyclists’ team. 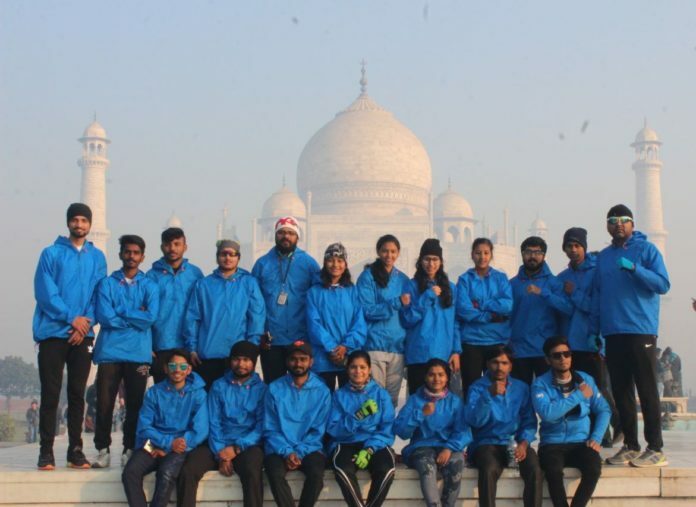 The 15-member cyclist’s team started from Bhopal on the 17th of January and covered 774 km across Madhya Pradesh, Rajasthan, Uttar Pradesh, Haryana and Delhi in the last seven days. The cyclists are part of a cycling club–The Pedal Club, an initiative of the Department of Physical Education, Bhopal School of Social Sciences. These cyclists organized nukkad-nataks (street Theatre) and conducted awareness programmes across seventeen localities during their cycling journey. 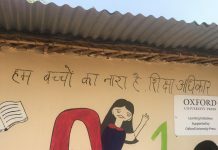 The members of the club also interacted with government and administrative officials during this tour and shared a coffee table book on WASH compiled by World Vision India. The coffee table book lists integrated community-based solutions on WASH in schools. The initiative was also supported by partners like Federal Bank, Wild Cats and Abhinav Homes Builder. Issuing the coffee table book is one of the many initiatives under WVI’s WASH campaign. The aim of the ‘Coffee table book’ is to document all the initiatives pictorially for dissemination while interacting with the various stakeholders. This would give a broader perspective of the issue which WVI is engaging with and pave ways for linkages and engagements with the Govt. Stakeholders of the 5 states (Madhya Pradesh, Rajasthan, Uttar Pradesh, Haryana and Delhi), corporates and educational institutions.